The Founder and C.E.O. was born and raised in Rhodesia (Zimbabwe). As a young boy his parents sent him to an agricultural boarding school in Israel where he graduated high school receiving his full matriculation. When returning to Rhodesia, Eddie enrolled in the Royal Society of Arts, London and graduated with an Economic and Business diploma. Upon his graduation, he worked in marketing and fashion coordination in the textile industry both in Rhodesia and South Africa. 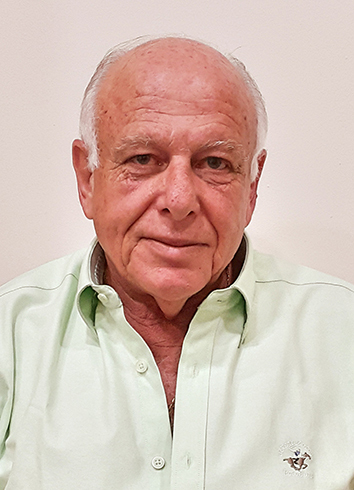 Eddie made Aliya to Israel in 1976 together with his wife and mother and began working as an independent in marketing and project development in various fields such as medical equipment, real estate as well as embassies and government officials. In 1990 Eddie established a company with three Partners called The Yovel Group which developed various real estate projects together with overseas investors. When establishing Wave Worldwide in the year 2000, of which Eddie is the sole Director, the company took over all the project management developed by the Yovel Group. It was Eddie’s vision to further encourage foreign investors to invest profitably in Israel and manage their investments, providing them support that is tailored to their needs. Over the years, Eddie has represented investors from South Africa, Australia, Belgium, The UK, Canada and the United States and to date has successfully developed, marketed and managed projects totaling over US$950 million and still continues to do so. Expertise: Project Development, Promotion, International and Local Marketing, Company Management, International Marketing, Investment and Business Consulting.